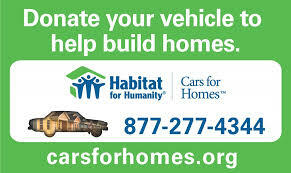 Thanks for your interest in volunteering with Habitat for Humanity of Greater Centre County (HFHGCC)! Volunteers are the heart and soul of any Habitat affiliate, and we appreciate your commitment to our mission. Each year, hundreds of volunteers provide countless of hours of service to build and renovate houses, to plan and manage fundraising special events, and to support and 'staff' our ReStore and operations. This gift of time helps expand HFHGCC staff efforts exponentially ... in short, we couldn't do all that we do without volunteers! • To learn more about non-construction volunteer opportunities like serving on committees, helping to plan special events, or assisting in the administrative office, click here. • To learn more about our current construction volunteer opportunities, click here. • We are also actively looking for volunteers to support our ReStore – either in assisting customers, helping with donation pick-ups, or processing merchandise to ensure an adequate supply of sellable items on the sales floor. To learn more about the ReStore volunteer opportunities, click here. Or to see all upcoming volunteer events, check out our online calendar.